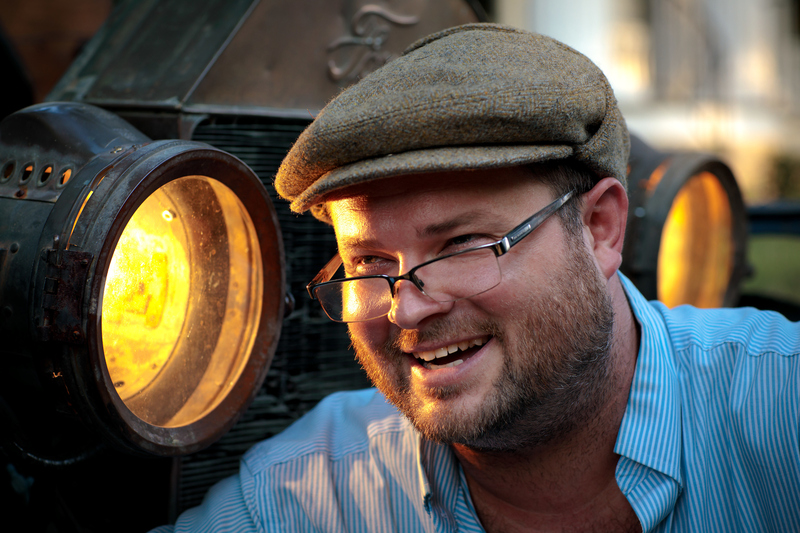 James Keith is a musician with the heart of a historian. He moved to Greensboro to get a masters and doctorate in choral conducting at UNCG. 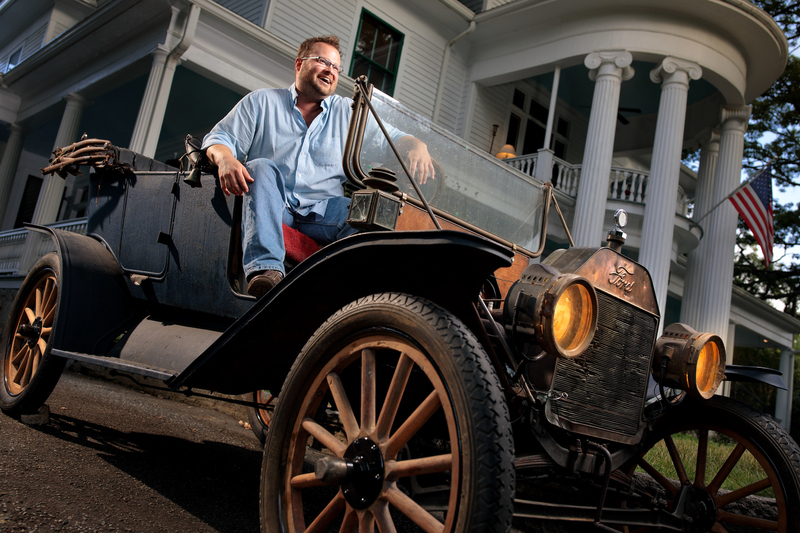 But he’s filled his life up with historic restoration projects, breathing new life into old homes – and cars. James, the associate director of music at First Presbyterian, and his wife, Amanda, cut their restoration teeth bringing their College Hill home to landmark status. The original owner of the house was Effie Anderson, whose husband W.I. Anderson owned Anderson Fruits. Through research, James connected with Anderson’s grandson, Alan Sutton. They became great friends. Then in 2016 James and Amanda purchase 204 North Mendenhall Street, and revived the turn-of-the-century Colonial as an inn, the Double Oaks Bed and Breakfast. The couple is teaming up with UNCG’s interior architecture program to restore the third floor. James has also got a fleet of classic cars — a passion spurred by his father and brother. “My brother is a huge part of why I pursued automobiles and subsequently homes.” James’ first car was a GMC Jimmy. Now he’s got a 1949 Chevrolet, a 1958 Cadillac, a 1958 MGA, and a 1940 Lasalle. Oh, and the 1912 Model T he bought from a former professor. Maybe you’ve seen it in the Greensboro Holiday Parade? It’s the one with the rubber chicken riding shotgun. Because why not?